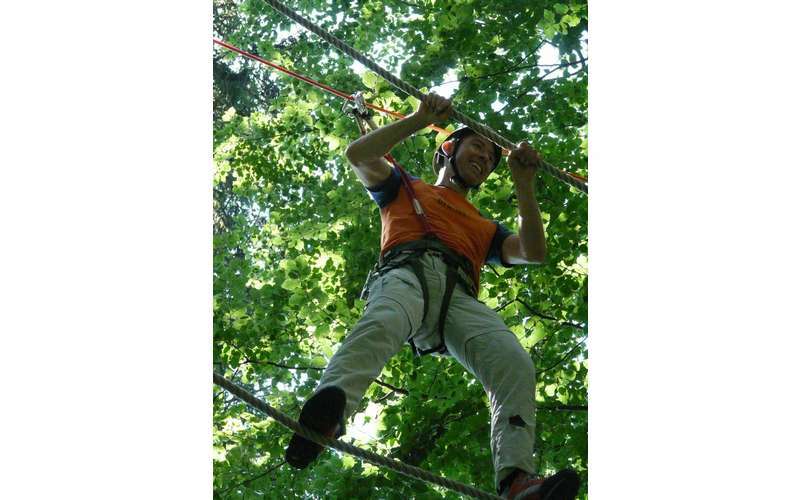 Explore an aerial adventure course at Adirondack Adventure Center! If you're looking for some of the most fun outdoor experiences available for people of all ages, then Adirondack Adventure Center is the place to be! Based in the Town of Lake Luzerne just a few miles away from Lake George, this company offers both a treetop adventure course (ADK Treetop Adventures) and lazy river tubing/rafting (ADK Tubing Adventures). 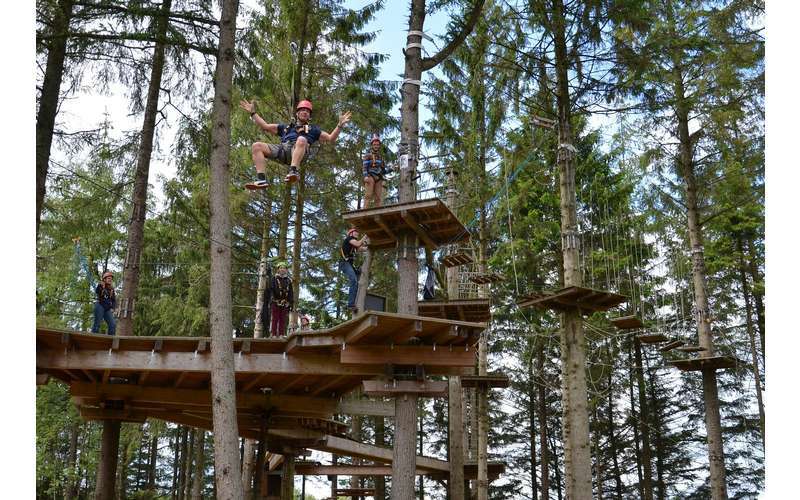 Explore the Treetops: Jump, Climb & Zip Line! See the world and forest floor from above and plan a trip to ADK Treetop Adventures at the Adirondack Adventure Center. Each adventure is two hours long, giving you and your group plenty of time to move through the ropes course and try out a variety of awesome attractions. There are high-speed zip lines, pogo posts, horizontal tires, and many more exciting elements for visitors to enjoy. For the brave of heart, the adventure also includes a 63-foot tall Quickjump XL freefall device! 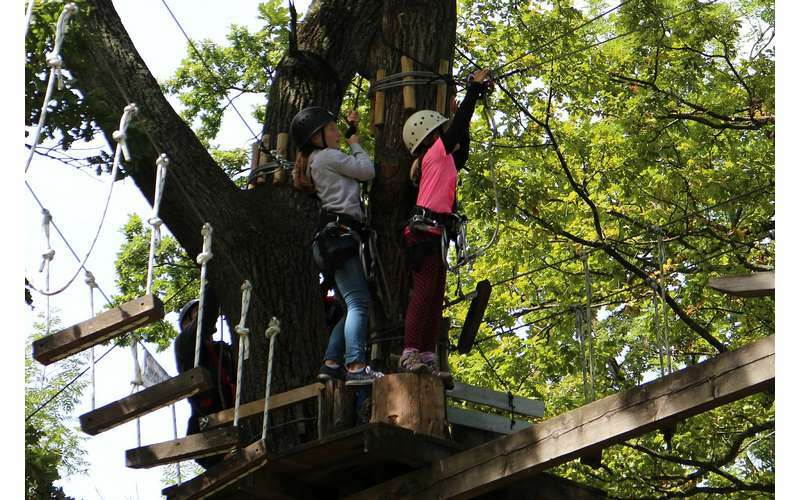 These treetop adventures are perfect for groups of friends, families, and team building exercises. It's an experience you won't soon forget! In addition to the adventure course, Adirondack Adventure Center also operates ADK Tubing Adventures, which focuses on providing guided lazy river tubing and rafting trips in the Lake George Region. Not only are these trips a great way to spend a sunny day, but the calm, pristine waters make them ideal for kids and adults. Ready to make your reservation with Adirondack Adventure Center? Visit their website today!